Most of us understand that the media is biased and slants its articles accordingly. The challenge for voters is to look past the obvious to make sure what they are reading is actually true. One recent example of misrepresenting a basic fact is the way the Trump tax cuts are being reported. On February 13th The Daily Signal posted an article illustrating the fake news regarding the tax cuts. This is simply the latest episode in a long-running campaign to demagogue tax cuts that let the vast majority of Americans keep more of their hard-earned money. Some of the biggest cuts are actually being enjoyed by the lowest-income Americans. A typical family of four got a $2,917 tax cut this year. …So what’s the complaint about? In an early sample of tax returns, the IRS has reported that average refunds are down $170 from last year and that they hadn’t changed much from 2017, the year before. But this is not relevant, for two reasons. First, the sample of tax returns cited by the IRS is very small, and some analysts expect refunds will actually go up this year. But second, and more importantly, tax refunds have nothing to do with the size of anyone’s tax cut. A refund is what you get back if you’ve paid too much in taxes throughout the year. Your tax cut is the drop in total taxes you owed to Uncle Sam last year. The two are not connected. Employers across the country already gave us our tax cuts by withholding less money from our paychecks every pay period. Americans saw a bump to their paychecks in February 2018. Of course, withholding is never perfectly accurate, so your refund or tax payment at the end of the year is simply a last-minute adjustment. But that refund does not cancel out the overall bump in take-home pay due to the tax cut. Do you remember when House Speaker Nancy Pelosi called the tax cuts “monumental, brazen theft,” or when former Treasury Secretary Larry Summers predicted the tax cuts would kill 10,000 people every year? This most recent round of hysteria is just more of the same. Be prepared for more false stories as the 2020 election grows closer. 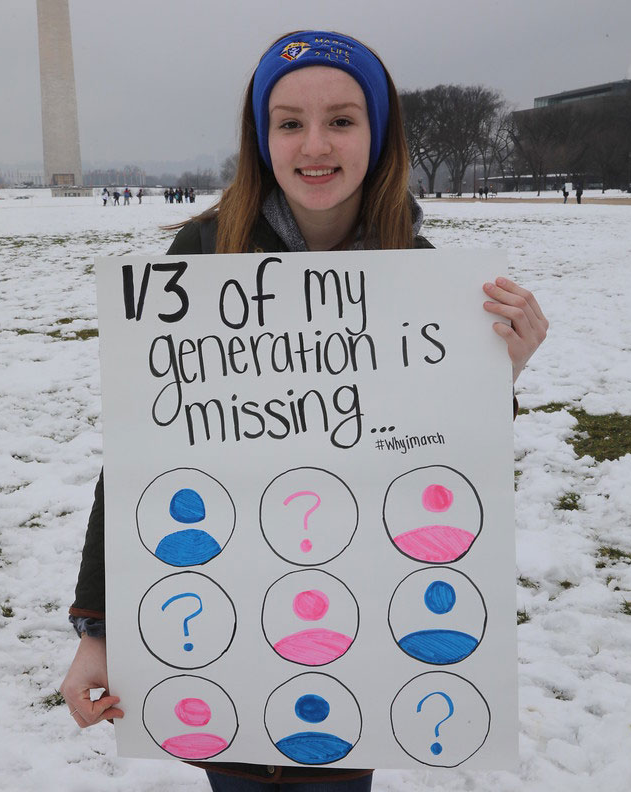 Today was the March for Life in Washington, D.C. The Gateway Pundit posted a story today about the March. The media never reports this event exactly as it is. CNN and MSNBC chose not to report on the March. The Daily Signal is reporting today that the United Nations Human Rights Committee drafted a memo saying that abortion and physician-assisted suicide should be universal human rights. In the Netherlands, a country vaunted for its liberalism, a proposal to legalize assisted suicide for older people who are generally healthy but feel they have led a full life has stirred up an ethical storm in some quarters. In 2001, the Netherlands became the first country in the world to legalize euthanasia for patients who were suffering unbearable pain and had no prospects of a cure. Now, some critics say the country has gone too far with a proposed law that would allow people who are not suffering from a medical condition to seek assisted suicide if they feel they have “completed life.” Proponents of the law counter that limiting assisted death to patients with terminal illnesses is no longer enough, and that older people have the right to end their lives with dignity, and when they so choose. We are in danger of creating a world where life has no value in itself–it only has value in how useful or convenient it is to the people around it. Are you comfortable with where we are headed? Yesterday The Daily Signal posted an article about the impact of President Trump’s economic policies on average Americans. The article highlights the story of Tom Condon, a factory worker for 28 years, employed by Jamison Doors. Because of tax reform passed by Congress and signed by Trump just before Christmas, the company is expanding, investing in new equipment and making plans to open a new factory. Workers are personally benefiting, too. Condon, along with the rest of the company’s estimated 150 full-time employees in the United States, already has received two bonuses related to tax reform this year. The American people will decide in November whether or not they want to keep this economic growth going. Yesterday The Daily Signal posted an article about a new bill in Tennessee. On April 9, Tennessee Governor Bill Haslam signed a bill that ends state taxpayer funding of Planned Parenthood and other abortion providers in the state. The bill will direct TennCare, the state’s Medicaid program, money to health care facilities instead of Planned Parenthood and other abortion providers. “This money is a form of supporting abortions,” state Rep. Jimmy Matlock said last month, reported The Tennessean. He fought to remove state funding from Planned Parenthood, saying that in the last six years, nearly $1 million has been paid to abortion clinics in Tennessee out of TennCare reimbursements. 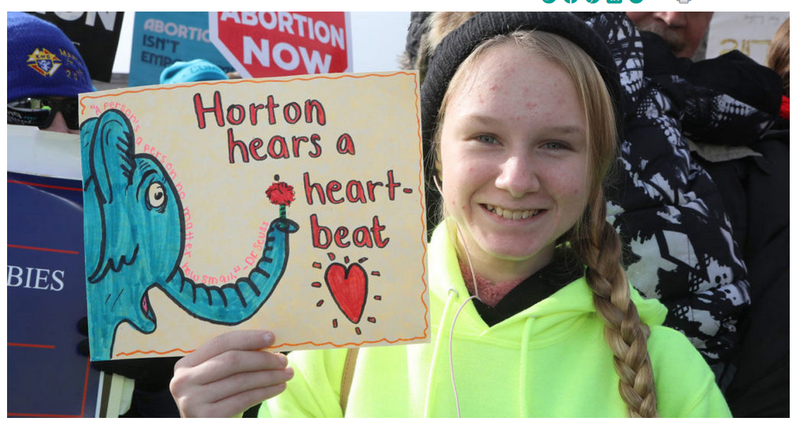 …Monica Burke, a research assistant in the DeVos Center for Religion and Civil Society at The Heritage Foundation, told The Daily Signal in an email that no state should use taxpayer dollars to fund abortion. Abortion is legal in America, but there is no reason taxpayers should be forced to pay for it. I am not a doctor, but my understanding is that there is sometimes a medical need to do an abortion. I have no problem with that, but abortion should not be a million dollar industry. In 2015, Breitbart reported that Planned Parenthood reports more than $127 million in excess revenue, and over $1.4 billion in net assets. The majority of that money comes from performing abortions. I am sure that I am not the only person who finds that offensive. 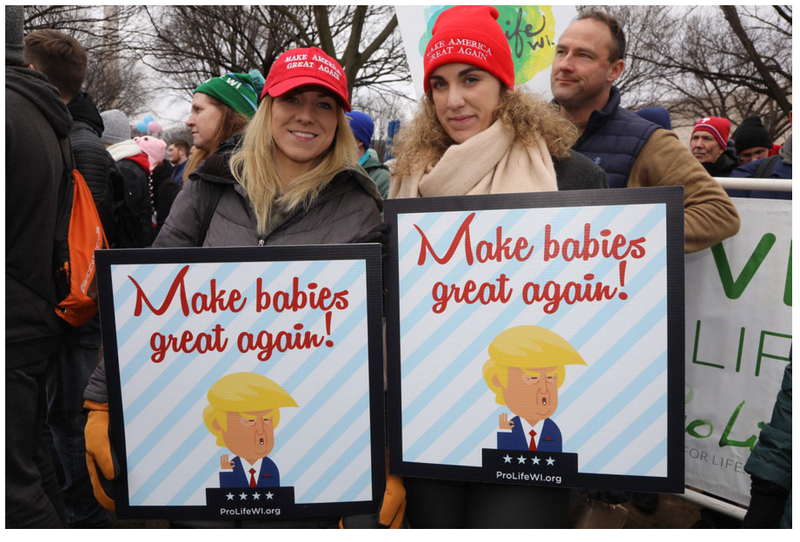 It’s time for Americans to step up to the plate–teach abstinence in our schools, help teenage mothers who do get pregnant, and adopt the children of teenage mothers. We also need to look closely at those government programs that encourage having children without benefit of marriage. We are looking at the future predicted by Senator Daniel Patrick Moynihan in 1965. We can change that future, but it will take time and serious effort. The Daily Signal reported yesterday that the 4th U.S. Circuit Court of Appeals has ruled that Baltimore pro-life pregnancy centers do not have to put up signage in their waiting rooms saying they do not offer or refer for abortions. At least 10 pregnancy help centers in the city of Baltimore are being spared the city’s “weaponized” attack on their work—including Greater Baltimore Center for Pregnancy Concerns, which opened its fifth location in May 2017, right next door to a Planned Parenthood. With pregnancy centers awaiting the Supreme Court’s say on a 2015 California law that forces state-licensed pro-life medical clinics to tell women where and how to get taxpayer-funded abortions, the 4th Circuit’s ruling could play into a number of state and local efforts to curb life-saving alternatives to abortion. I wonder how people will look back at abortion in twenty years. Since Roe v. Wade (1973), there have been 59,115,995 abortions based on numbers reported by the Guttmacher Institute 1973-2014, with projections of 926,190 for 2015-16. GI has estimated possible undercounts of 3-5%,so an additional 3% is factored into the overall total. That’s a lot of American children that are not with us. Yesterday, Walter E. Williams, a professor of economics at George Mason University, posted an article in The Daily Signal. The article explains who pays taxes in the United States. According to the latest IRS data, the payment of income taxes is as follows. The top 1 percent of income earners, those having an adjusted annual gross income of $480,930 or higher, pay about 39 percent of federal income taxes. That means about 892,000 Americans are stuck with paying 39 percent of all federal taxes. The top 10 percent of income earners, those having an adjusted gross income over $138,031, pay about 70.6 percent of federal income taxes. About 1.7 million Americans, less than 1 percent of our population, pay 70.6 percent of federal income taxes. But the fairness question goes further. The bottom 50 percent of income earners, those having an adjusted gross income of $39,275 or less, pay 2.83 percent of federal income taxes. Thirty-seven million tax filers have no tax obligation at all. The Tax Policy Center estimates that 45.5 percent of households will not pay federal income tax this year. There’s a severe political problem of so many Americans not having any skin in the game. These Americans become natural constituencies for big-spending politicians. 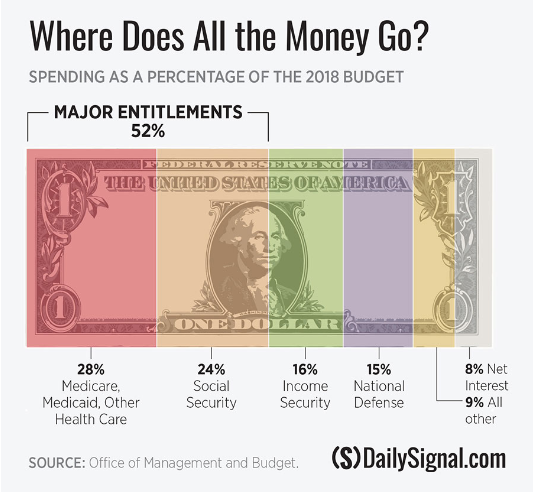 After all, if you don’t pay federal taxes, what do you care about big spending? So why should the bottom 50 percent of income earners and those who pay no income tax be interested in electing people who will cut taxes and stop runaway spending? If less than 1 percent of the population is carrying the tax burden, they really don’t have any serious political leverage–they are a very small voting bloc. There’s another side to taxes that goes completely unappreciated. According to a 2013 study by the Virginia-based Mercatus Center, Americans spend up to $378 billion annually in tax-related accounting costs, and in 2011, Americans spent more than 6 billion hours complying with the tax code. Those hours are equivalent to the annual hours of a workforce of 3.4 million, or the number of people employed by four of the largest U.S. companies—Wal-Mart, IBM, McDonald’s, and Target—combined. Along with tax cuts, tax simplification should be on the agenda. Our current tax code is a tribute to the successful efforts of lobbyists and special interest groups. That needs to change. What Would Be The Result Of This Goal? On September 13th, The Daily Signal posted an article about one of the goals of the current Democratic Party. This explains one of the reasons this coming election is so important. So what would a progressive Supreme Court mean? Schumer specifically criticized a 2013 decision involving a 5-4 decision about voting rights. In Shelby County v. Holder, the court held that Section 4 of the Voting Right Act, which set forth a 40-year-old coverage formula laying out which states needed to get preapproval from the federal government before making any changes in their voting laws, was unconstitutional. A progressive Supreme Court would, therefore, be willing to infringe on states’ rights. The high court has been closely divided on a number of contentious issues in recent years: the Second Amendment (Heller, McDonald), religious liberty (Hobby Lobby, Town of Greece), the First Amendment (Citizens United), racial preferences (Fisher I), and the death penalty (Glossip), among others. One vote made the difference in each of these cases, which most consider as victories for the conservative wing of the court. Our basic liberties are at stake. Are we going to follow the Constitution or are we going to become a banana republic? Consider this when you vote.